Google describes Google+ as a ‘social layer’. What they mean by that is that rather than being accessed through a single website – like Facebook – Google+ is designed to work with many of Google’s existing online properties. 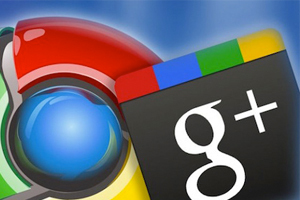 It is perhaps the fact that Google+ is different that has slowed down adoption of the service. It is a bit like Facebook, and it is also a bit like Twitter. So it is a bit confusing. What does seem clear though is that Google+ has shown it’s best growth in the mobile space, particularly smartphones. And mobile use of the Internet is growing fast and bound to have a big impact on business, so perhaps it is worth looking at Google+ a bit more closely. Here are some of the features that might be relevant to your pool spa and sauna business. ‘Circles’ are where you put your friends and contacts on Google+, but unlike Facebook, Circles allows you to categorise your contacts into groups, which can be very useful if you want to keep your business contacts and social friends separate. An obvious benefit is that when you are sharing content, such as an article on automatic pool covers, you can share it with the people it is relevant too rather than having to share with everyone in your contacts list. You can also join Google+ Communities, which are Circles where you might find business prospects and new contacts. They are a bit like the groups on LinkedIn. If you blog or write your own content or articles then use Google+ to add your name to Google Authorship. You might have seen articles that have a small picture of the author and a brief description of them when you have been searching on Google. That is what Authorship does. Google searches prioritise content that is on Google+ and Google now has an increased emphasis on blogs that are tagged with Authorship so they will move up relevant search rankings. That could help you gain more attention and be seen as an expert in your chosen area who is happy to share their knowledge and through that, more traffic can be driven to your website. Sharing photos of your pool or spa installations on Google+ is as easy as creating albums on Facebook but, because you can have various Circles, you only need share those images with people who will find them relevant. You don’t need to share work pictures with your family or social friends and you don’t need to share pictures of pools with people who you know are only interested in spas. Google Local is a Google+ Page that has the ability for people to review and recommend local businesses. It is also possible to use a local form of Google Adwords to run a pay-per-click campaign just within your local area. The level to which Google+ aims to provide a highly personalised search experience makes a very compelling case for small businesses to start using Google+, particularly if you operate within a specific location or deliver your services locally.